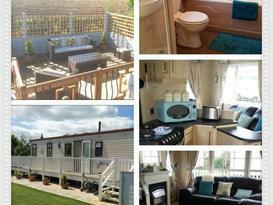 Simply stunning 2 bedroom static caravan providing luxury accommodation. 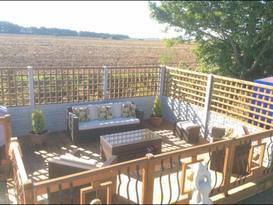 Set in a private garden plot with panoramic views over the Yorkshire countryside and a south facing gated decking area. 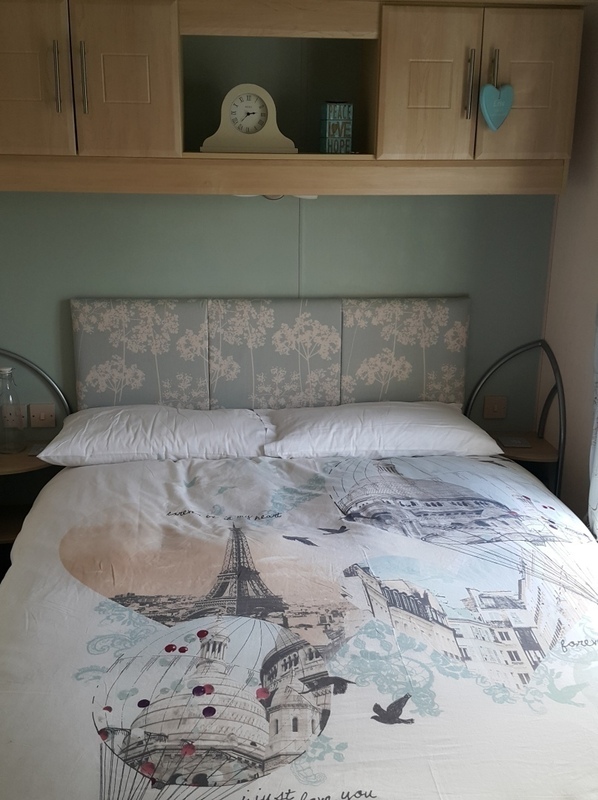 Inside is beautifully furnishing in coastal colours with a fully fitted kitchen, double gas oven and hob, microwave, fridge, freezer, coffee maker, slow cooker and Sandwich toaster. Large open plan lounge/diner. 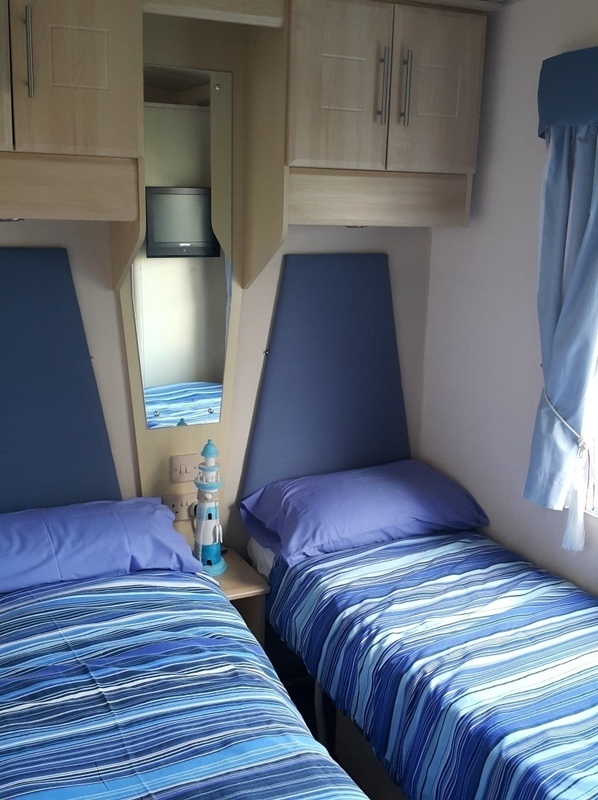 There is a full sized bathroom with bath and separate shower. 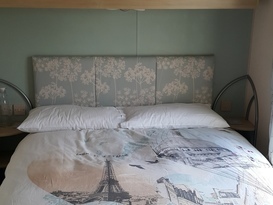 The double bedroom over looks countryside and has an en suite toilet. 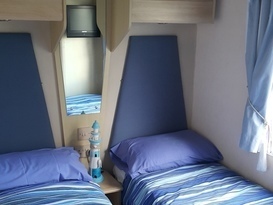 The twin room is beautifully appointed and has spacious storage. 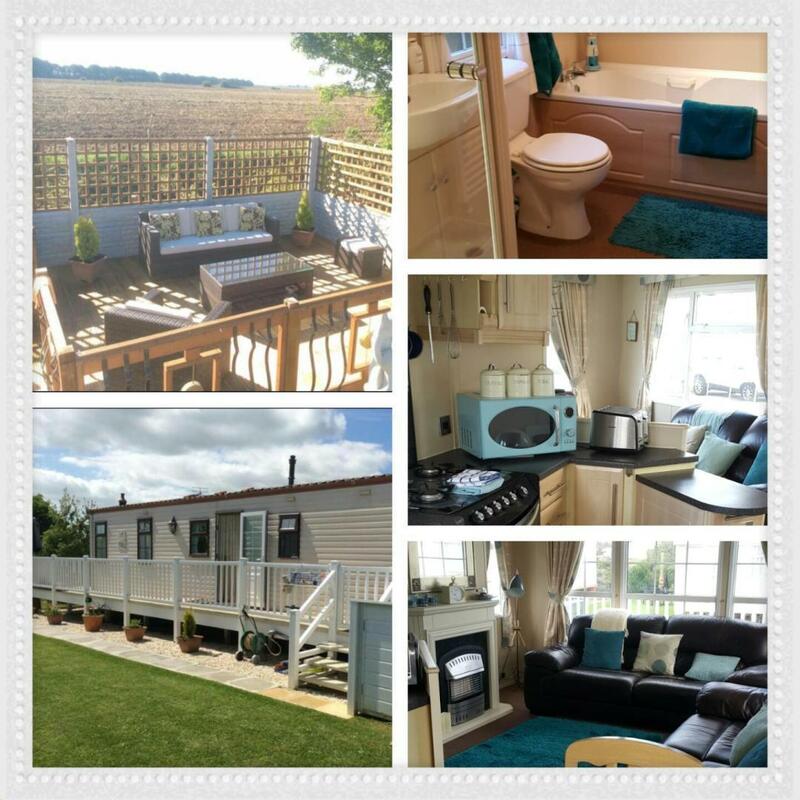 The caravan is situated on anew award winning park, voted the most remarkable park in Yorkshire 2017. 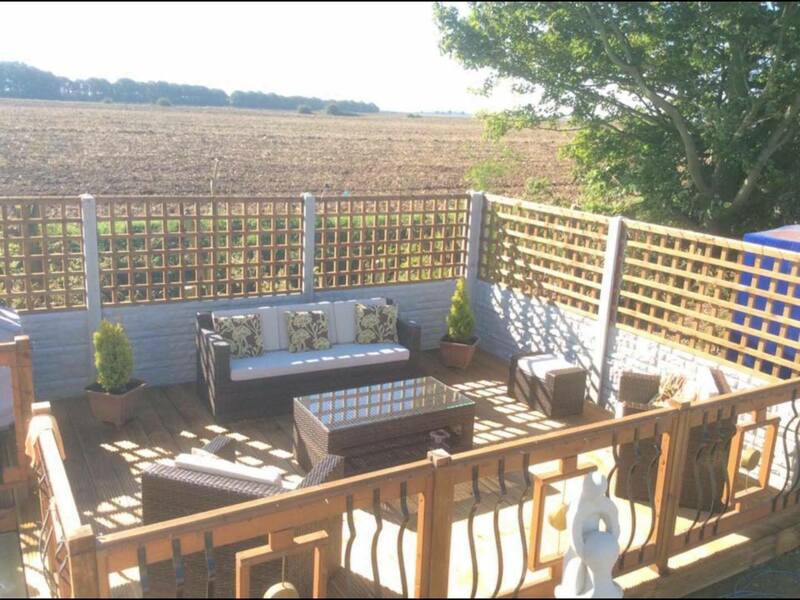 There is a 5* country club offering delicious food made from locally sourced ingredients, well stocked bar, ice cream bar, amusement arcade, heated indoor pool, sauna, jacuzzi, spa, beauty treatments, indoor and outdoor play areas, bouncy castles and competition standard fishing lake.